The NH chisels gave consistently light, precise, clean cutting performance. 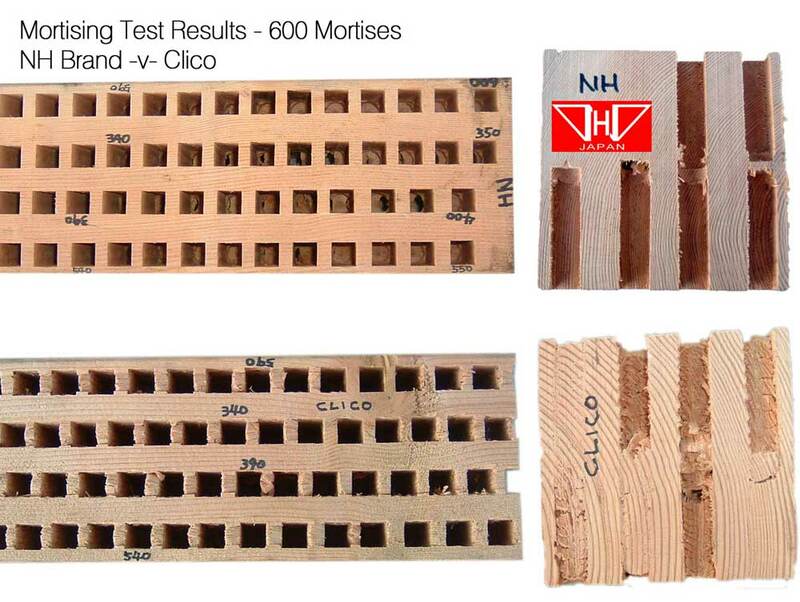 Clico mortise chisels were found to take more force both going into and out of the wood piece, creating rougher cutting surface and the finish deteriorated more quickly. Our range of mortiser (morticer) tools is drawn from the best suppliers offering long life and the highest quality finish mortice tool, and includes hollow mortise chisel bits & Long Series Mortise Augers in a variety of sizes. Have a browse of our range of Mortise Machines for our full range of mortising machinery.